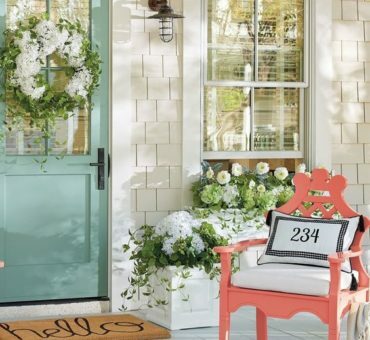 Decorating is all about the details. 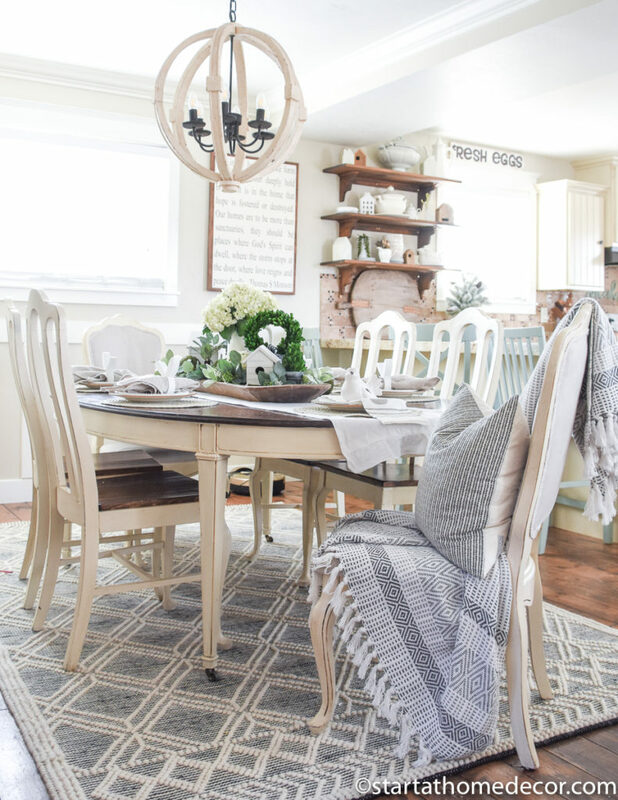 Any time I can incorporate gorgeous details and eye-catching accents, the better the room is as a whole. 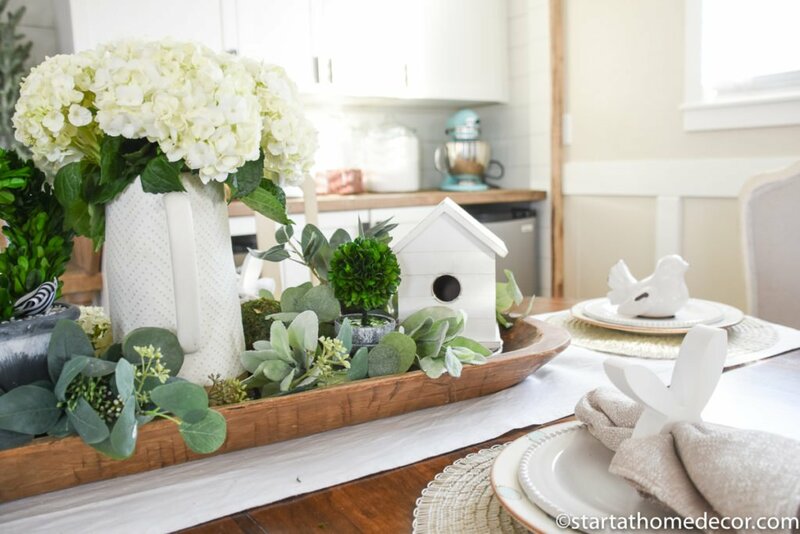 Since spring decorating is not so far away, I figured I would take any excuse I can get to create a spring and Easter tablescape filled with lovely details and focal pieces. 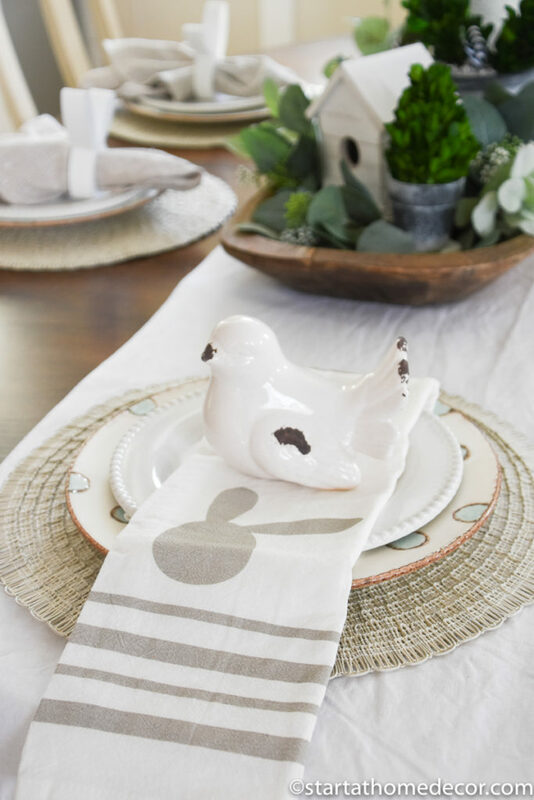 I have teamed up with Adams and Co. and Krumpets Home Decor for this beautiful spring and Easter Tablescape. 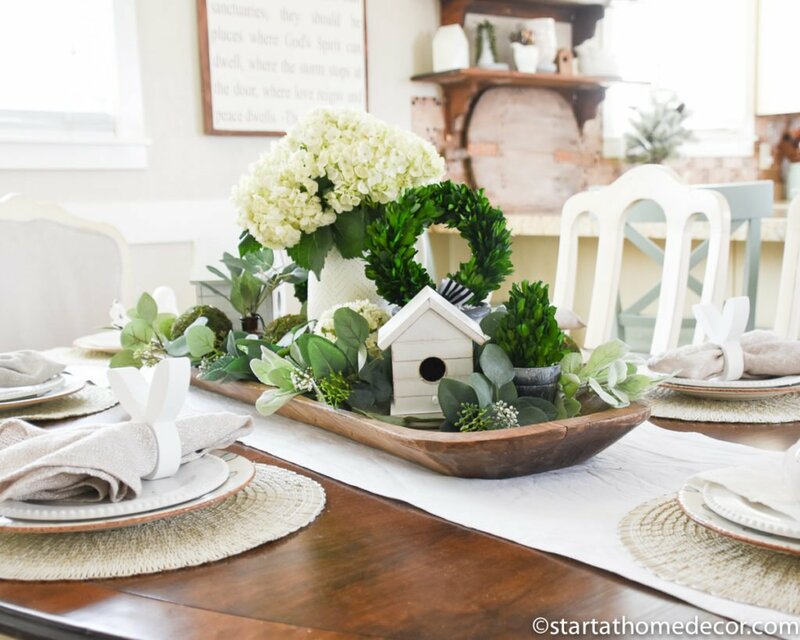 They have such fun decor items to perfectly compliment my existing table settings. 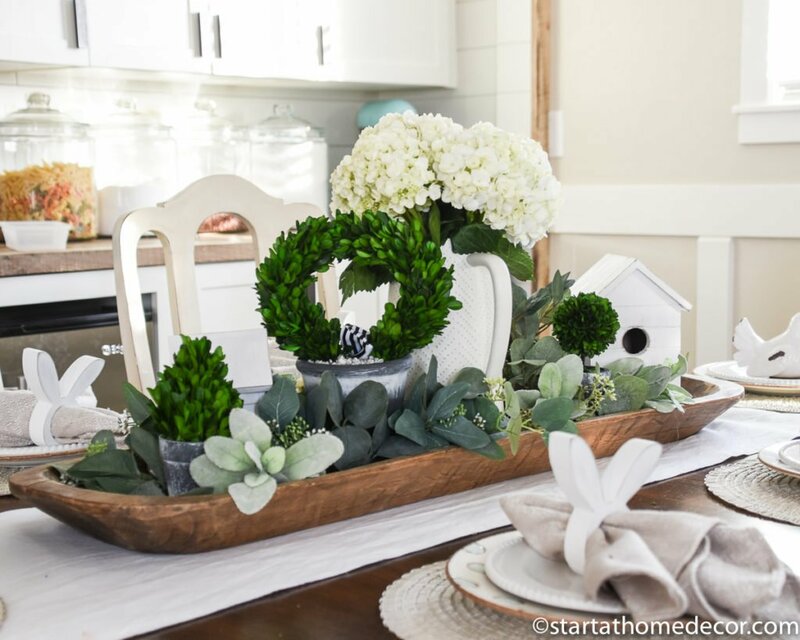 When I am decorating my table I like to use some type of holder like my dough bowl in the center. 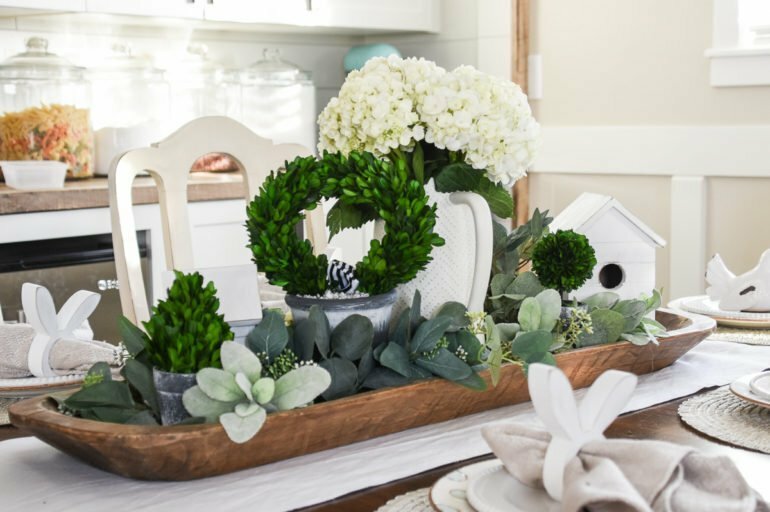 It helps to contain all the decor, plus when it is dinner time I just simply remove the bowl and the table is all cleared off! 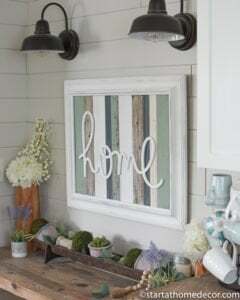 It’s great to have a main focal point as well. 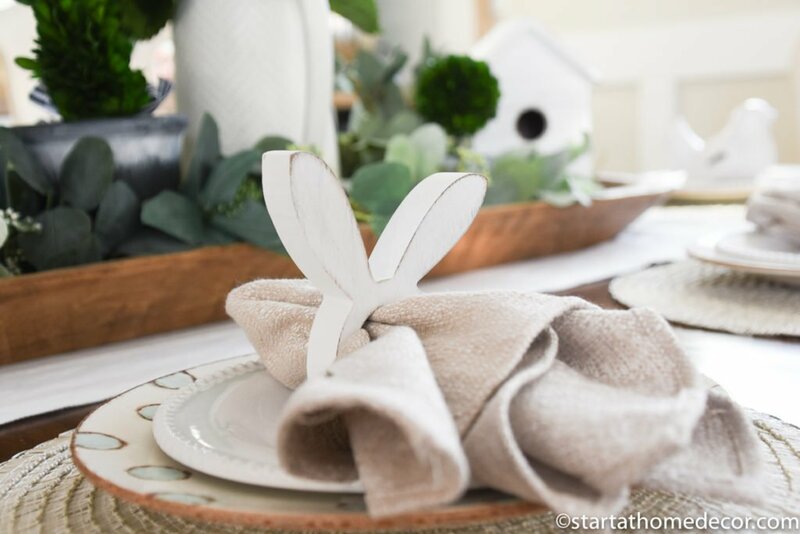 Since I wanted this tablescape to work for both spring and Easter I incorporated these cute bunny napkin holders from Adams and Co. and a cute bunny towel on the 2 head place settings. I love those cute little ears peeping over the top. 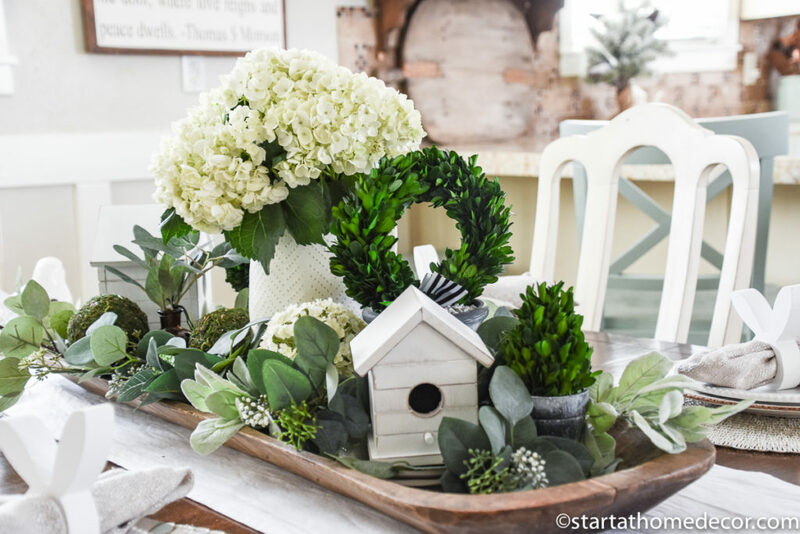 Since I didn’t want an overwhelming Easter theme, I added in some bird houses and fun greenery to tie into the spring season. Lambs ear to add a fuzzy texture and a soft pale green. 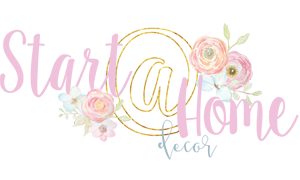 I also have a complete guide on how to decorate with faux flowers here. 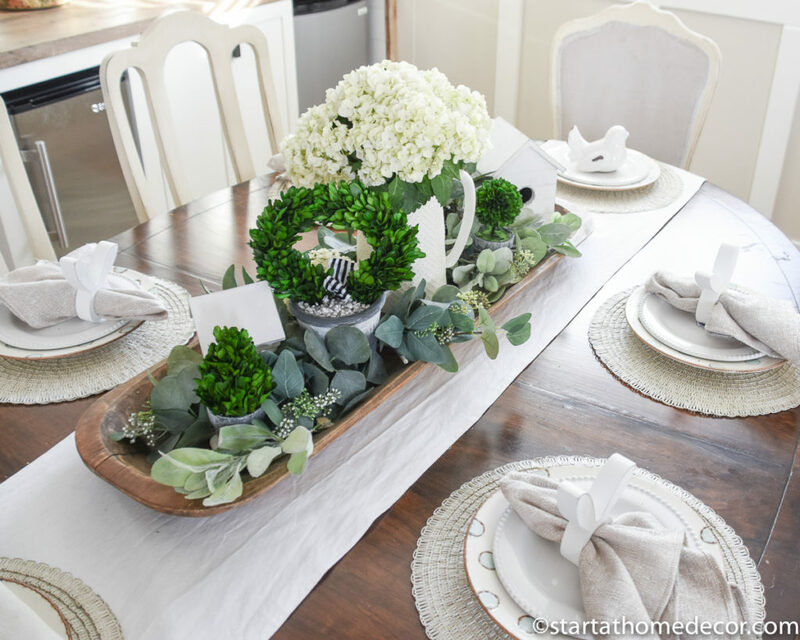 For my place settings I chose to incorporate neutral dishes with a slight teal accent on my bottom plate. 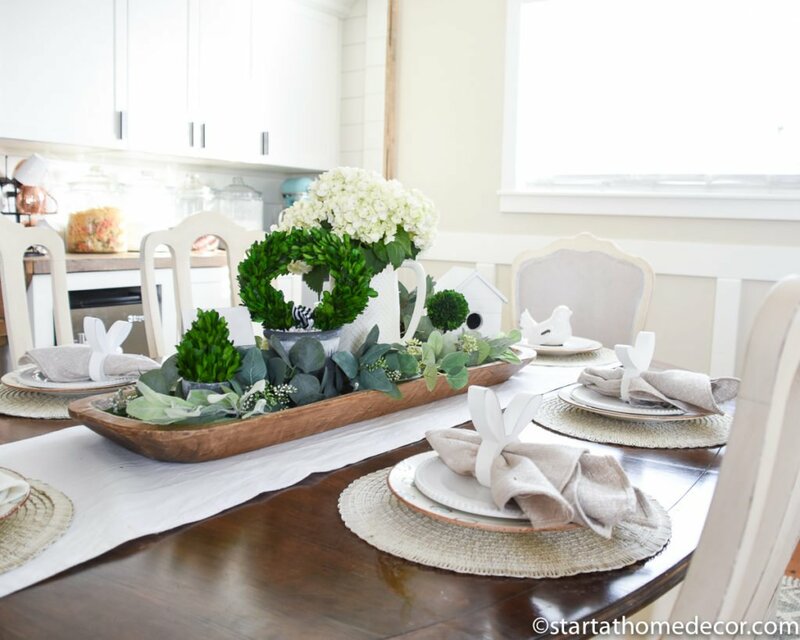 This provided me with just the perfect hint of color for my spring and Easter tablescape. 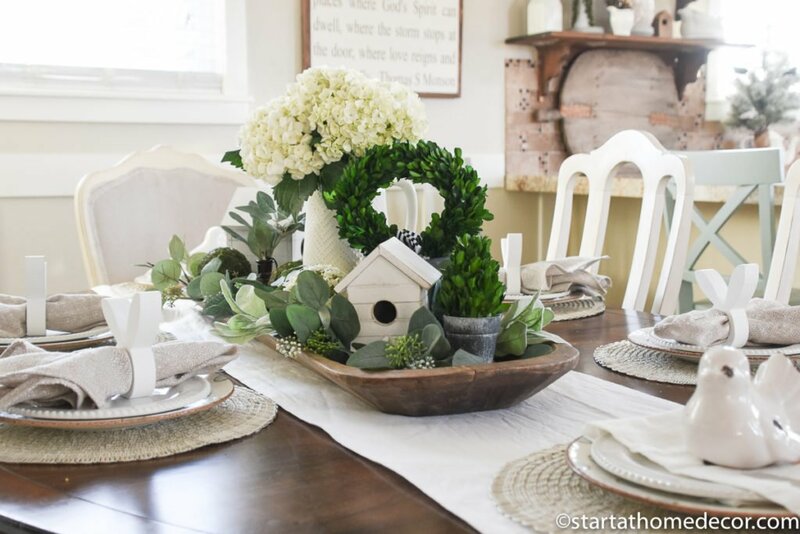 I find more and more that I like neutral table settings with more greenery and simple coloring. 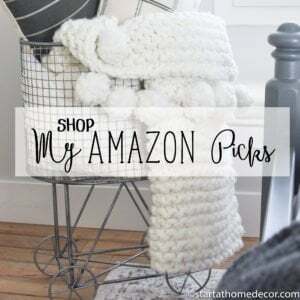 It goes perfectly with the theme I have in this space.